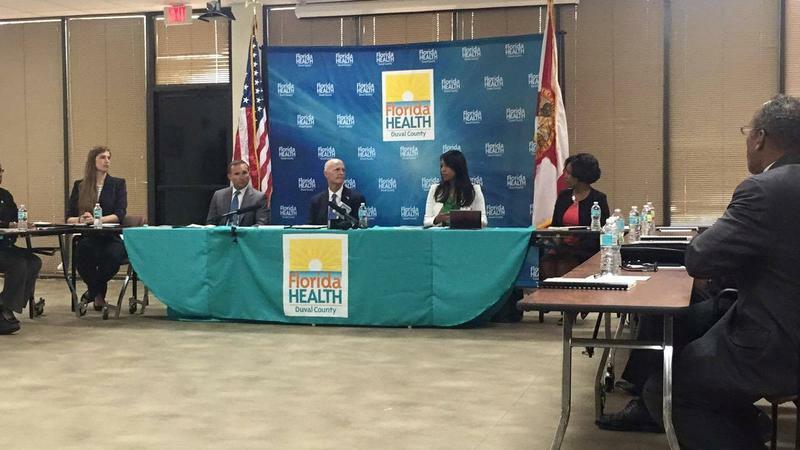 Governor Rick Scott meets with Duval County health and mosquito control officials about Zika. Florida Governor Rick Scott stopped in Jacksonville Tuesday to warn residents about the Zika virus epidemic and meet with local officials. Scott also took the opportunity to slam congressional leaders for failing to pass a funding bill to combat the virus. In West Palm Beach earlier in the day, Scott said it was “heartbreaking” to learn Florida has its first confirmed case of Zika-related microcephaly — the condition causing a newborn’s head to not fully form. In Jacksonville, Scott praised local officials for following his administration’s lead and “stepping up” their response where the federal government failed. He said he was disappointed to learn a billion-dollar Zika funding bill was shot down in the U.S. Senate. “So the federal government needs to show up and do their part. Congress and the White House need to come together and provide the funding to make sure we don't see the spread of Zika,” he said. Senate Democrats say they would’ve backed the legislation but last-minute amendment cutting funding for Planned Parenthood made it a poison pill. As of Tuesday afternoon, there have been 230 confirmed cases of Zika in more than 20 Florida counties. EDITOR'S NOTE: This article has been updated to include the correct Food and Drug Administration guideline for mosquito repellant usage. Summer is right around the corner, and along with the heat and rain will come more mosquitoes — mosquitoes possibly carrying the Zika virus. 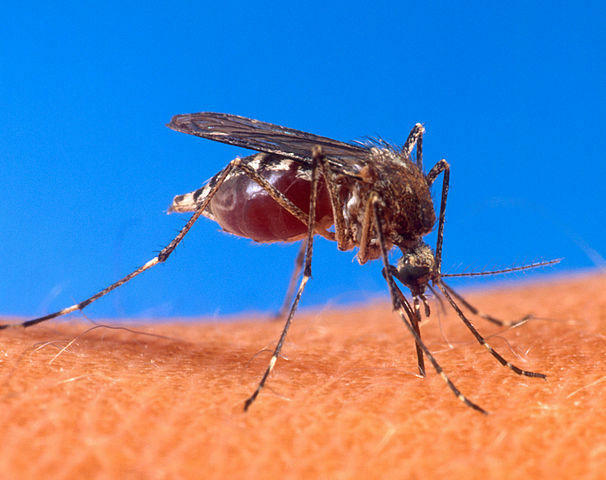 The latest confirmed cases of the Zika virus in Florida include a travel-related case in a patient in Jacksonville, the Florida Department of Health announced Thursday.